Who Will Win the Prestigious Hygienix Innovation Award™? Problem Solvers Present at RISE®: Three Finalists Compete for RISE Innovation Award! RISE® 2017 Announces Expanded Program! What Are the Most Innovative Hygiene & Personal Care Products & Technologies? 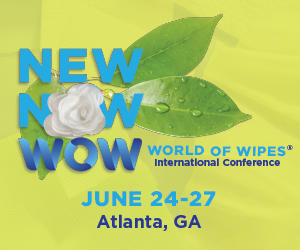 What Are the Wipes Industries Most Innovative Products & Technologies?